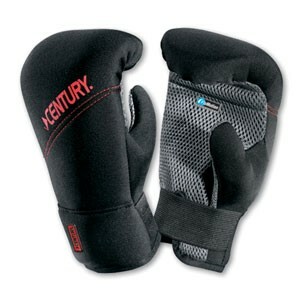 A washable soft neoprene shell covers thick foam padding. FloMotion ventilating material on the palm provides maximum breathability. Pre-curved fingers reduce hand fatigue, while a cushioned grip bar aids in precise fist formation. Pull-on style with elastic wrist strap for comfort fit. Features FloMOtion moisture-wicking technology which reduces perspiration.